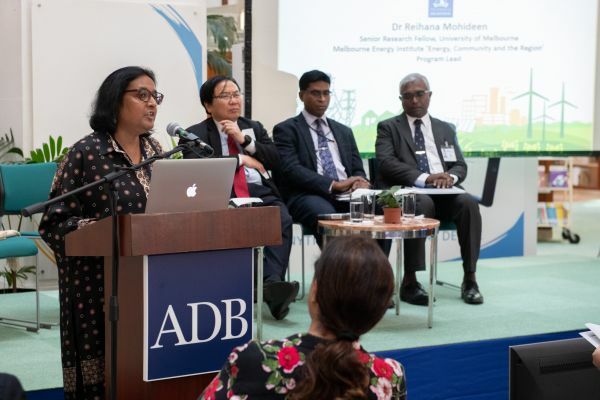 As an international development specialist in energy and power systems, Dr. Mohideen discusses how integrating gender equity considerations into technology design, and drawing women into this process, creates equal employment opportunities in South Asia. Developing Asia has some of the most dramatic and damaging early manifestations of climate change. This, together with rising energy demand and the commitment to reduce carbon dioxide (CO2) and greenhouse gas emissions, is driving Asia’s energy transition. The energy transition has important implications for gender equality and social inclusion. This paper is the beginning of an ongoing research project that will also include a pilot program to field test a gender equality and social inclusion reference energy system. Find out more about the study and read Dr. Mohideen’s paper here.